PIA’s small school design, personalization, advisory structure, project based learning and critical thinking methods have resulted in measured growth, both academically and socially, in my child since she enrolled. We are very pleased with the quality education being provided for our children at PIA. Having twins with very different interests and abilities, the staff at PIA was able to quickly ascertain their individual academic levels and challenge them accordingly. Both my children are thriving at PIA. Their teachers know them well as individuals and this is very important to me. The interest my children have in learning results from the methods used to encourage and foster a love of learning. They are taught to question, research and find solutions – what could be more important in helping them grow to become contributing members of their community? I have a child in the Early Childhood Classroom and a child in the Lower Primary Classroom at Peninsula International Academy. The experience-based learning strategies both children are exposed to draw upon current and forward-thinking education philosophies from the world over. I am excited that my kids are being given a strong and positive foundation for learning through inquisition. In the 6 and 18 months my children have attended PIA, I can already see that they are building the confidence they need to thrive in the global community. Our son is attending PIA now for 3 years and we couldn’t be happier with his progress and development over this time. His teachers are dedicated and passionate and foster the love for learning. Due to the small classroom sizes and the child centered approached our son gets exactly the attention and help he needs to succeed. He just loves to go to school! I wished this progressive method of teaching and educating our children would be available for all Belizean children throughout the country! PIA has changed our family! I have 2 children that attend one on a scholarship provided by the school. My oldest child started 2 years ago and within months began her journey to a different way of education . She has succeeded in writing, reading ,and math skills tremendously but the thing I am most proud of is her determination to be a more productive person in her society. She can now look at situations with critical thinking skills that she didn’t have before attending PIA. This has helped her become more confident in the decisions she makes and her opinion on situations that surround her. My second child started this year on a scholarship and has begun the same journey that his sister is on, one headed for success! I truly believe that PIA is educating and training future leaders of this country and the world. 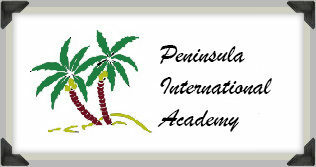 PIA makes it possible for my son to receive a quality education in Belize. The school’s curriculum is rigorous, based on a set of international standards designed to make students globally competitive. PIA’s teachers hail from different parts of the globe offering their unique skillsets and backgrounds to enrich the student learning experience. Maxim’s teachers are passionate about what they do and they work tirelessly to make sure their students are able to overcome challenges and thrive in a nurturing, supportive environment. For example, when one method of division wasn’t getting through to Maxim, his teacher worked patiently with him using an alternative method which he instinctively understood! PIA students are encouraged to take personal responsibility by setting individual learning goals and working towards them. They are supported at every step and are offered diverse and practical learning opportunities to reinforce key skills. For example, to reinforce concepts learned in geometry and science, the school partnered with a local landscaping company to design a sustainable parking area outside the town’s soccer field. Maxim is offered opportunities at PIA that he would never have elsewhere. He is in a school-sponsored arts program under the tutelage of an accomplished Belizean artist. Last year he was offered the opportunity to partner with his teacher on a book she was writing by providing story ideas and illustrations. He feels that he is valued for his skills and that motivates him to do his best. He looks forward to going to school every day, which for me, is the ultimate measure of the school’s success. I am truly excited about a Placencia High School with the same standards of excellence shown thus far in the lower grades. Our daughter, 5 year-old Samantha attended preschool and now is in beginners or kindergarten. She has literally blossomed since attending PIA. She has made wonderful friends as have her parents. Keep up the wonderful work; could not be more impressed!